The Porsche Team with the two 919 Hybrids generally had a positive first day of practice for penultimate round of the FIA World Endurance Championship in Shanghai. The reigning World Champions, Timo Bernhard, Brendon Hartley and Mark Webber, were fastest in both of the two 90-minute free practice sessions on the 5.451 kilometre long Chinese Formula One circuit. Hartley set the fastest lap of the day in the afternoon with a time of 1:44.594 minutes. The championship leaders, Romain Dumas, Neel Jani and Marc Lieb, in the sister car nearly completely missed the morning session because of a precautionary battery change. They came third in the afternoon session with Marc Lieb setting their fastest lap time (1:46.264 minutes). The six drivers with the two Le Mans Prototypes completed a total of 122 laps in constantly dry and mild conditions. 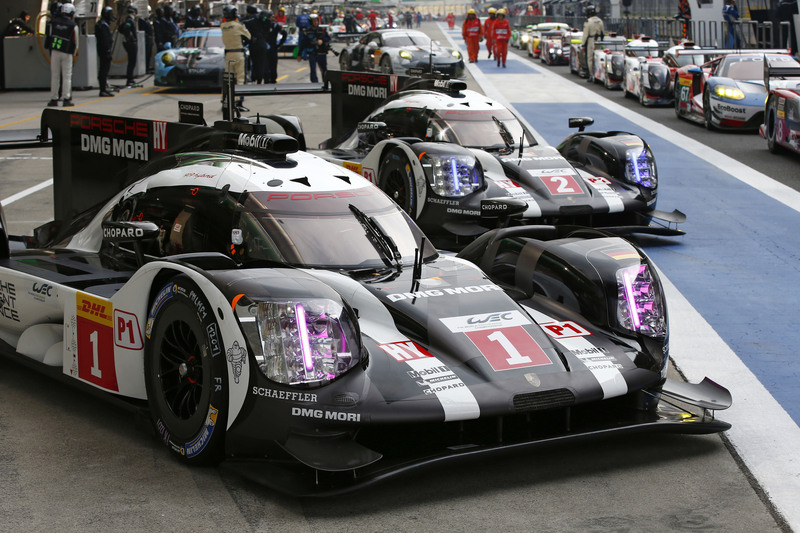 The Weissach based LMP1 team is hoping for an early win for its second consecutive World Championship title in Shanghai. To secure the manufacturers’ trophy Porsche, which currently has a 59-point advantage, needs this to be at least 44 points at the end of the weekend. LMP1 qualifying will be held on Saturday from 14:00-14:20 hrs local time. The six-hour race starts on Sunday at 11:00 hrs (04:00 hrs in central Europe).